GP failed to refer patient with chest pain to hospital leading her to suffer a heart attack and cardiac arrest. Our client, Mrs P, suffered a heart attack and cardiac arrest after her GP failed to refer her to A&E when she attended with chest pains. Mrs P awoke with chest pain and shortness of breath. She attended her GP, at Harold Road Surgery, Hastings, who concluded that the pain was muscular and did not take any further action. Mrs P continued to suffer with chest pain but was reassured by the GP’s assessment. Unfortunately, three months later Mrs P felt extremely unwell with increased pain in her chest and down her arm. She drove herself to A&E at the Conquest Hospital but collapsed in the waiting room. She suffered a cardiac arrest and myocardial infarction (heart attack). She was admitted to the intensive care unit (ITU) and treated with angiogram and angioplasty (where a balloon is inflated in the blocked artery). Mrs P was discharged from hospital 2 weeks later and made a good physical recovery but suffered with post traumatic stress disorder (PTSD). Expert evidence was obtained from an independent GP that Mrs P should have been referred to hospital for treatment, given her symptoms of chest pain, and that treatment would have prevented her cardiac arrest and myocardial infarction. 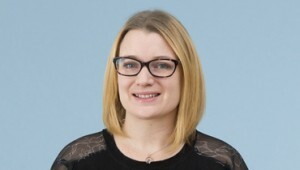 Jenny Waight specialist clinical negligence lawyer acting for Mrs P successfully obtained an out of court settlement of £35,000 to compensate Mrs P for her pain and suffering and to pay for private treatment for her psychiatric injury. Jenny Waight specialises in cardiology cases. If you would like to ask Jenny a question about a potential case, or if you have a general query about any clinical negligence, contact Jenny Waight at Thomson Snell & Passmore solicitors on 01892 701374 in confidence. Patient who attended GP with chest pains and was told she had muscular pain went on to suffer a heart attack (myocardial infarction) and cardiac arrest three months later and suffered with PTSD.